Our most intensive tour available is, without question, our Pyongyang Korean Language Study Tour, taking place over one month in North Korea. With so much time to play with, and with weekend trips out of town, the weekdays are spent exploring Pyongyang and getting deeper into the capital than ever before. 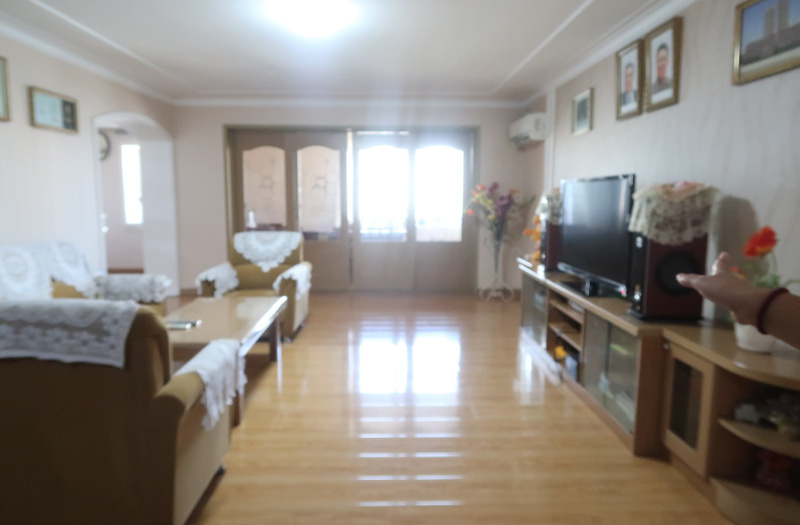 One of the many legitimately unique experiences last year was a visit to a newly-built apartment near Ryomyong (Dawn) Street in central Pyongyang. Belonging to the family of a professor at Kim Il Sung University whose father was a prominent architect in Pyongyang, responsible for designing the People’s Palace of Culture and Pottonggang Hotel among others. Located on the 20th floor of a large, caramel-coloured apartment complex, the inside of the apartment was immaculate, with not an object out of place. The mandatory portraits of the leaders hung above the television set in the living room, in addition to a framed photo taken during the housewarming event featuring Marshal Kim Jong Un standing alongside all the professors of the apartment complex. 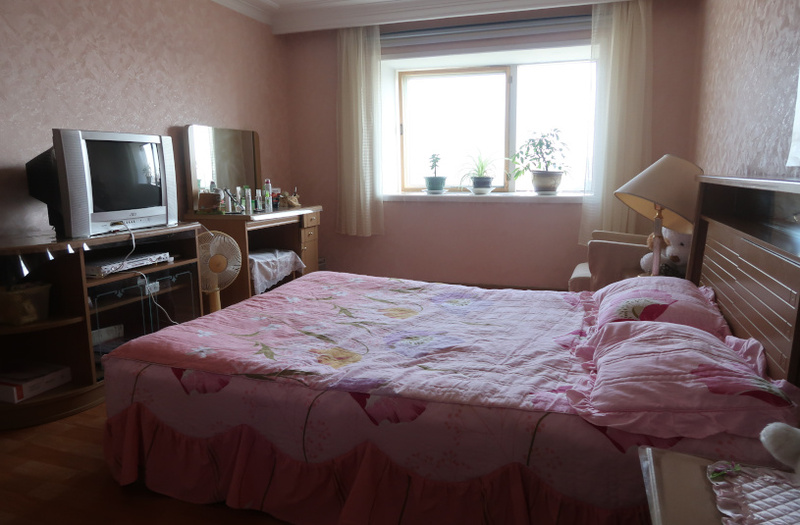 As is the norm in most North Korean families, the professor’s parents also lived in the apartment along with his wife and children. Photos of their wedding day sat proudly in a sewing room with an epic view over Ryomyong Street. As we were shown around by the proud wife of the apartment, she highlighted a special detail in the study: a bookshelf above the desk allegedly recommended for installation by Marshal Kim Jong Un himself. We were very kindly invited for ginseng tea where we were able to practise some of our newly-acquired Korean language skills before heading upstairs to the balcony area, complete with table tennis tables and tea-drinking areas. Appropriately, the view over Ryomyong Street was right over the People’s Cultural Palace, as designed by the professor’s father. 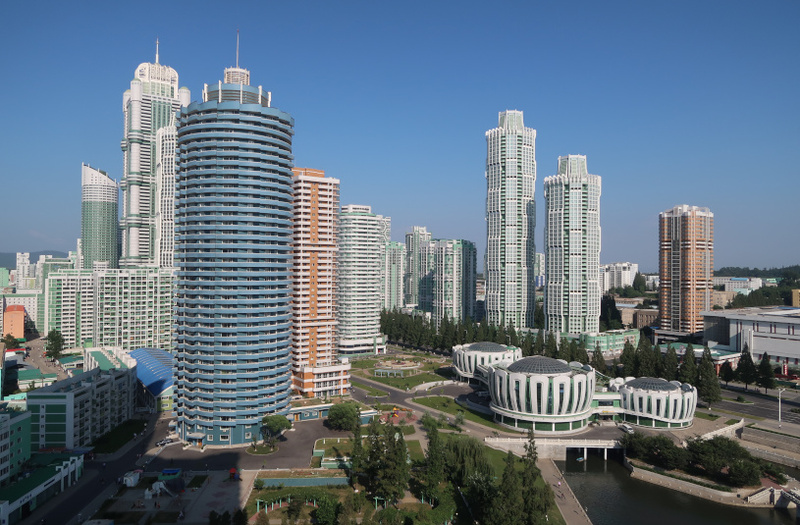 Want to get deeper into Pyongyang while learning the Korean language in 2019? Check out our Pyongyang Korean Language Study Program at Kim Chol Ju University here.